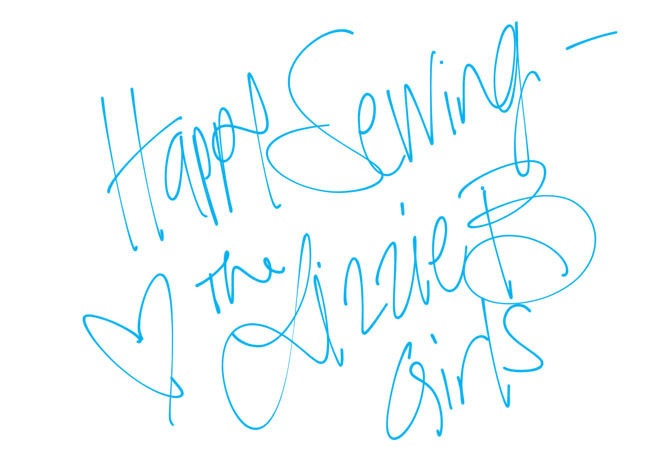 Whoo Hoo- the weekend is here and the Lizzie B Girls have something fun to share for National Sewing Month! Roxanne’s Glue Baste-It is an absolute MUST HAVE tool in the respective Lizzie B studios. 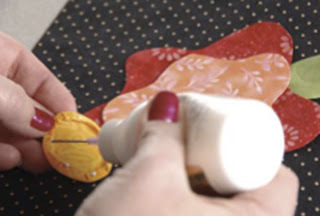 We do a LOT of applique, and this tool has saved us from constantly pricking ourselves with tiny applique pins and drawing unnecessary droplets of blood which inevitably end up on pristine white fabric. 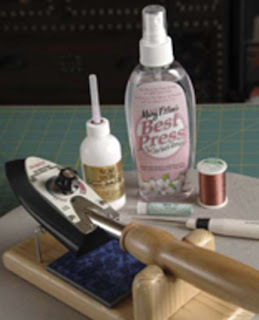 This lovely little tool is water-based, meaning, it won’t ruin your fabric. Hooray! Wanna see how we use it? Ok, let’s do some applique! 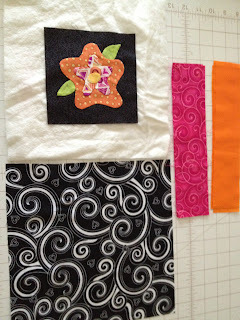 First you need to get all your tools together and get your APPLIQUE ON! 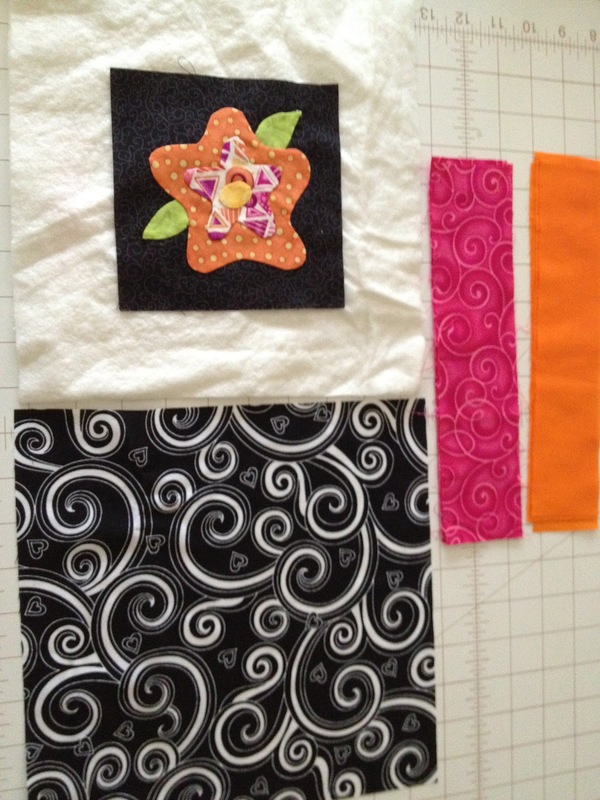 For a pdf of our applique instructions click *HERE*. 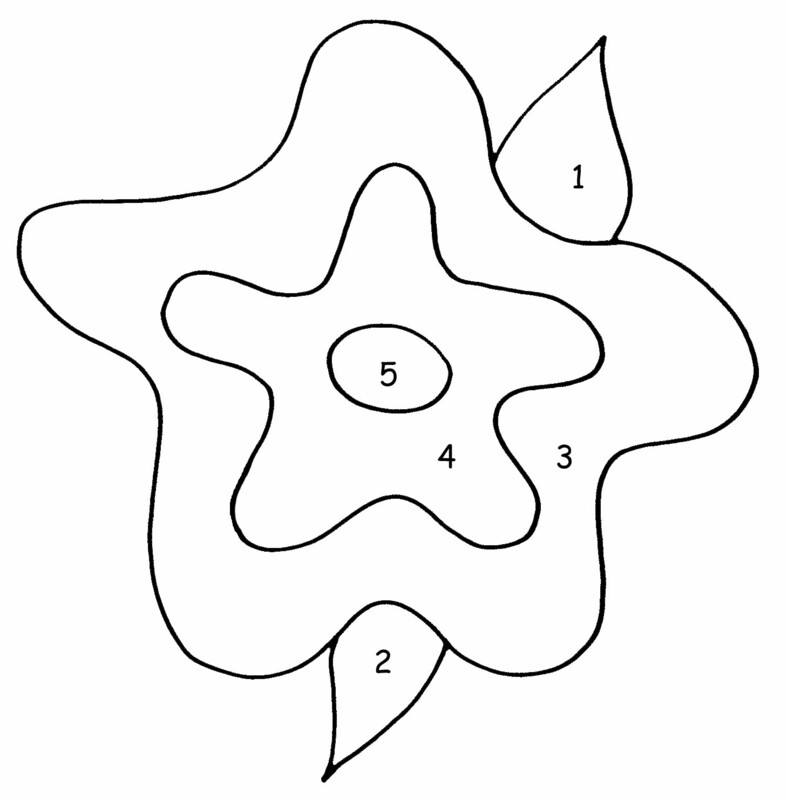 You will also need the Fleur shape…. Rummage through your lovely scraps of fabric and find the bits and pieces you would like to use. Cut a 5.5″ square for the background fabric of the fleur. I used black to make mine POP. 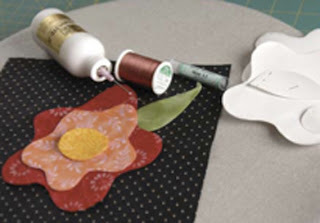 Follow the simple prep steps (1-12) on our applique instructions to turn the edges of your fleur, now you’re ready for Roxanne’s Glue Baste-It. The pieces are numbered in order of which to glue to your background first. 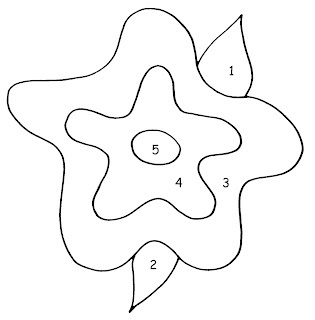 Start with the leaves, big fleur shape…etc. allowance. Notice how awesome that tiny applicator on the bottle squeezes out the teeniest of dots of glue. So easy to control! Glue just a few dots here and there…well below where you are going to stitch. background fabric, centering it in the square. Glue down the outside edges of the fleur. Now stitch that cutie right down on the background! We stitch by hand, but this glue won’t hurt your machine either if you prefer machine applique. The other handy thing about this glue is that you can make a BUNCH of similar blocks and throw them in a project bag to be stitched on-the-go! Or if you’re like me…at the various sports games I attend for my children. Gotta have SOMETHING to sew, right? One piece of batting cut 10″ square. One piece of backing cut the same size. And two coordinating strips cut 2″ x 44″ each. 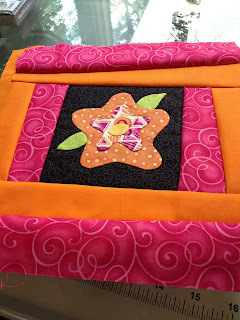 Now place your backing fabric wrong side up, put the piece of batting on top, and place your appliquéd block roughly in the center of the batting. 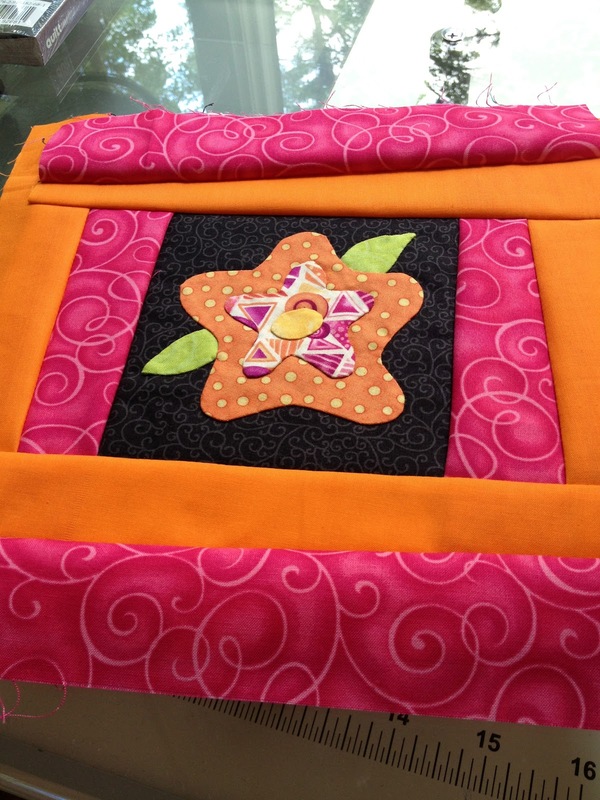 Ready to flip-in-stitch? Following the picture above, place your first strip right side down, matching the edge with the edge of your center block. 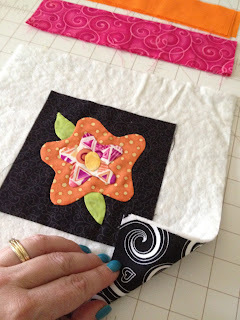 Stitch down the strip using a 1/4″ seam allowance. Now flip your strip over and place your second strip on top of the first, right side down. You can put the second strip at a wonky angle, stitch it, then flip it. Don’t worry if it hangs over your batting, or doesn’t reach it. We’re going to square up the block when we’re done! Repeat the same process on the other side. Then do the remaining two sides, using the opposite strips first. Now press your wonky-lookin’ block! Next, trim the block down to about 9 1/2″. Or smaller if you prefer! 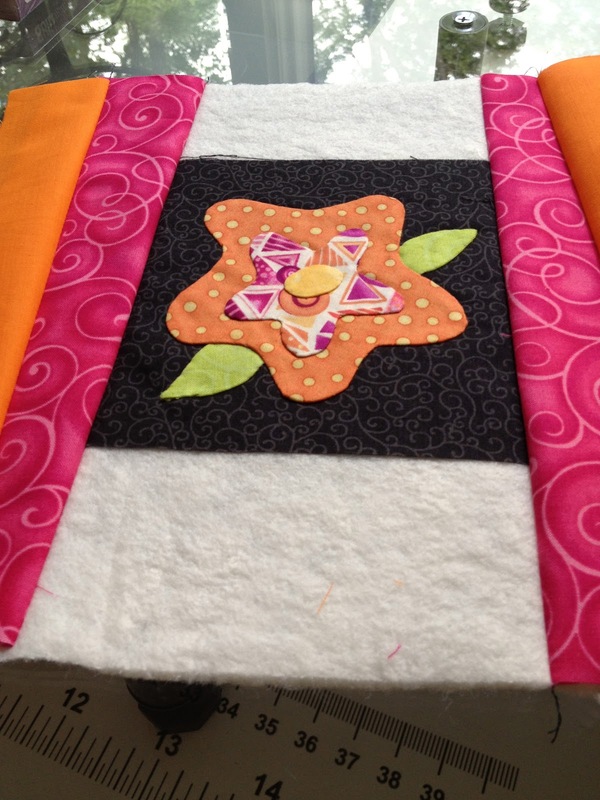 I finished my pad with a strip of binding, only needing one 2 1/4″ x 44″ strip for the entire block. And VOILA! You’re done! Now what you decide to USE it for is up to you! Is it a cute hot pad for your table? 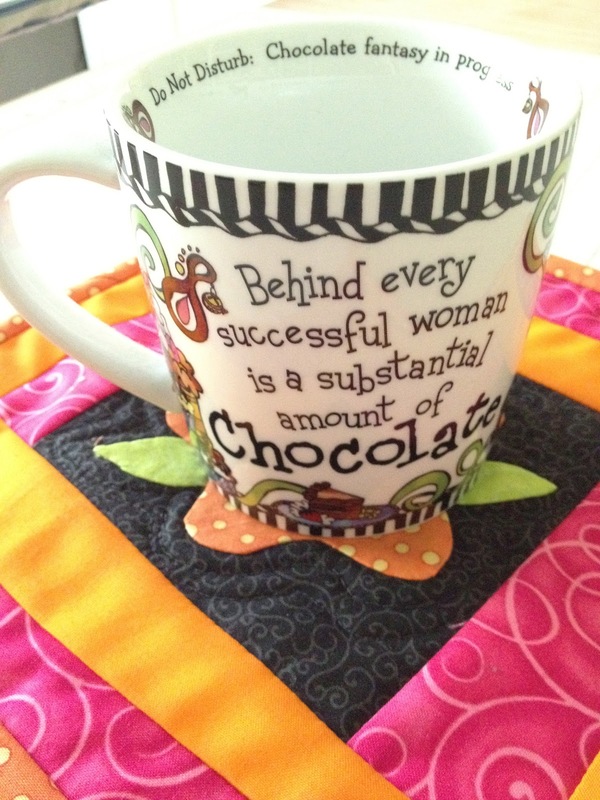 Or a mug rug for your desk? Personally, I like it with my mug. But then, that’s one darn appropriate mug for us Lizzie B’s! Don’t you just love how these girls get their crafty groove on! 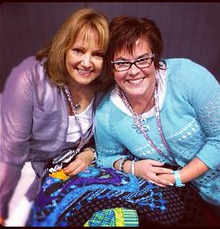 And let me just tell you that the colorful quilts and crazy patterns are such a play on their fun and out going personalities! 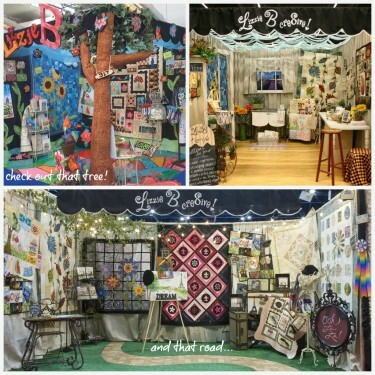 When you first approach one of their booths, you know you have arrived into something amazing! ps- I don’t have this in my tool box…. I’m thinking a trip to my local JoAnn’s is in order! That’s just too fabulous! Those are my favorite colors together and the design is so cute! Don’t knock the iPhone as a sewing tool! Am reading this post on my BFF iPhone. 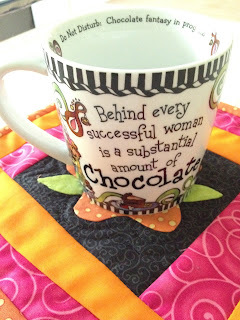 Really cute mug rug!! 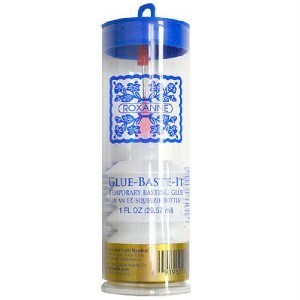 i love the roxanne’s accordian glue dispenser… never dries out, never needs to be reopened with a pin . it’s perfect! cut flower too!